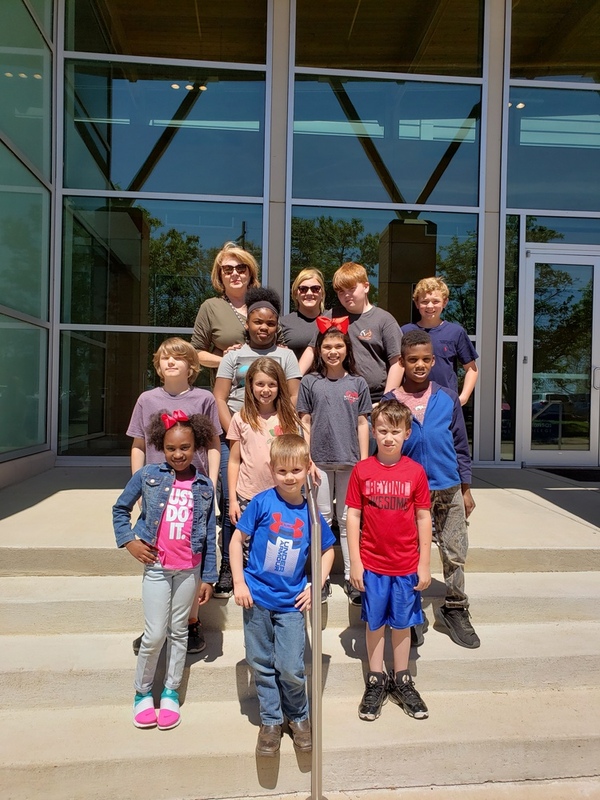 Ms. McBride and Mrs. Hardy took the 10 elementary students whose art work was selected to be in the 2019 Eastern Regional Art Show to East Arkansas Community College to view their art work in the gallery and to look at the other students' artwork that they are competing against. An awards ceremony will be held in the Auditorium at the Fine Arts Center on April 30th at 6:30. Students who win 1st place will have their artwork displayed in the Hillary Clinton Library in Little Rock during the summer. Congratulations to our students for their hard work!